The original or Adi Ramayan by Sage Valmiki has been adapted or translated into the various regional languages in India. Majority of them are not mere literal translation instead they all have their own distinguishing features. Ramcharitmanas written by Tulsidas in the 16th century is the Ramayana version popular in North India. In Urdu, it the Pothi Ramayana written in 17th century. In Jammu and Kashmir, it is Kashmiri Ramavatara Charita written in 19th century. In Punjab, it is the Ramavatara written in 17th century by Guru Gobind Singh. In Gujarat, it is the Tulsi-krita Ramayana a Gujarati adaptation of Tulisdas Ramayana in 17th century by poet Premanand. In Maharashtra, it is the Marathi Bhavartha Ramayana written by Eknath in the 16th century. 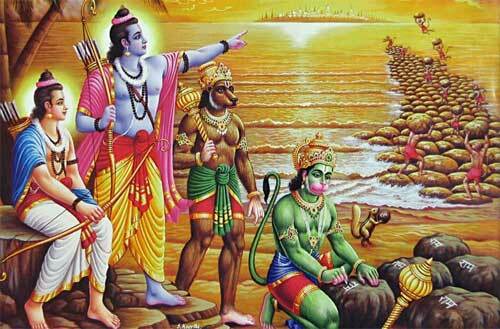 There is also reference of Ramayana being translated into old Marathi during the 12th or 13th century. In Assam, it is the Assamese Katha Ramayana or Kotha Ramayana in 15th century by Madhava Kandali. In Bengal, it is the Bengali Krittivas Ramayan written by poet Krittivas in 15th century. In Orissa, it is the Oriya Balramadasa Ramayana was adapted by Balarama Das in the 16th century. In Andhra Pradesh, the Telugu Ramayan is known as Sri Ranganatha Ramayana and was adapted by Buddha Reddy. In Karnataka, it is Kannada versions of the Ramayan – the Kumudendu Ramayana (Jain version) in 13th century and the Kumara-Valmiki Torave Ramayana in 16th century. There is another one titled Ramachandra Charita Purana written by Nagachandra during the 13th century. In Tamil Nadu, it is the most popular Tamil Kamba Ramayana written by poet Kamban in the 12th century. In Kerala, it is the Malayalam Adhyatma Ramayanam Kilipattu written by Thunchaththu Ezhuthachan in the 16th century. Please note that this list is incomplete as there are more regional versions of this immortal epic. An exhaustive study needs to be conducted to identify all the regional versions of the Ramayana. Unfortunately, some regional languages are no longer in use and some languages have undergone severe changes and therefore Ramayana written in these languages might have disappeared completely.